The last link to a doomed Jewish community in Crete watches its rebirth with gratitude. 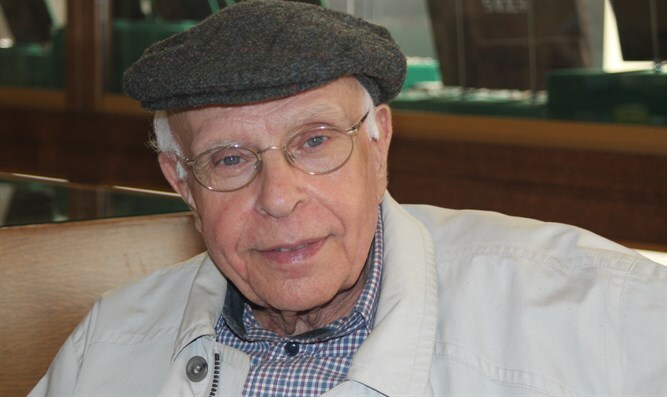 Kostas Papadopoulos was one of the few survivors of the 1944 British attack. On Sunday, 263 candles will be lit at a special interfaith memorial service at this lovely city’s historic Etz Hayyim synagogue. The names of local Jews who perished during the Holocaust will be read before a delegation that is expected to include Chief Rabbi Gabriel Negrin of Athens, Greek Orthodox and Catholic clergy, and ambassadors from Italy, Germany and Israel. His story dates back to May 29, 1944, when he was just 2 years old. On that day, German secret police singled out and rounded up 263 people across Greece’s largest island. All were arrested and carted off to Agia Prison for the crime of being Jewish. None of the prisoners would make it to Piraeus and a train bound for Auschwitz. When the ship left Heraklion as part of an announced “civilian” convoy, a British submarine captain, certain that the Tanais was piloted by a German military crew, targeted it near Santorini. Unaware of the human cargo below deck, which also included Christian Greek and Italian prisoners of wars, he ordered the crew to blow up the ship. Several years ago, when a towering Chinese tourist made a ridiculous offer of 10 euros for a valuable icon worth far more, Papadopoulos stood his ground. The angry customer knocked him down. The art dealer is still recovering from the attack, saying it has limited his mobility and made it impossible for him to return to Hania, two hours away, for this week’s memorial. While Heraklion’s defunct synagogue was destroyed by the Germans at the beginning of the Battle of Crete in May 1941, Papadopoulos has eagerly connected with Etz Hayyim in Hania. The reconstruction, completed in 1999, was largely the work of a Muslim and Christian crew from Albania. Rededication led to the creation of a community including Jews, Christians and Muslims enthusiastic about Stavroulakis' work and inclusive approach.